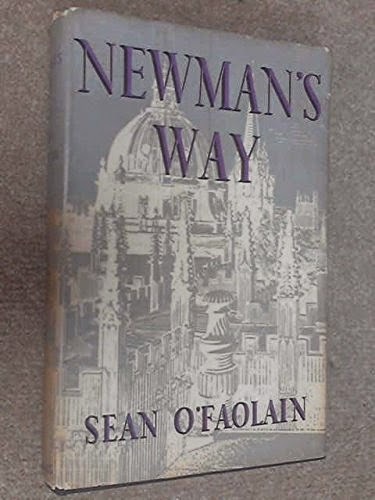 Newman’s Way by Sean O’Faolain. Longmans Green & Co., London, 1952. This book was a gift from me to my mother at Christmas 1952. 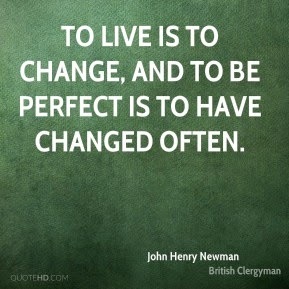 I had earlier read another biography of Newman but I cannot recall the name of the author. What I had read was about Newman himself and his long career but there was little about his family and his family background and the social circumstances of his time. O’Faolain’s book is very different. While John Newman remains the dominant figure, he emerges from the strong background of his family and of the separate lives and fortunes of his parents and his five siblings. 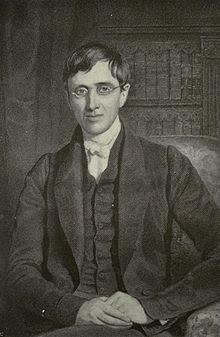 I was not previously aware that John Henry Newman, as the eldest boy, remained in touch with his widowed mother and his sisters who were in later years virtually on the poverty line, nor was I aware that he and his brother Frank gave them great moral and financial support despite their own limited finances. O’Faolain’s biography is both interesting and absorbing. It provides a good background to the social and religious life of mid-nineteenth century England. Newman’s father had been a generous, warm-hearted and surprisingly irreligious man within a family deeply committed to religion. He had good connections and reasonably good opportunities, but he finished a poor man following bankruptcies in 1816 after Waterloo and subsequent business failures. The young John Newman had rather rigid evangelistic views which were shared by his siblings and which were to dominate his early life in Oxford up to his ordination in the Church of England. Later, through the influence of others in Oxford and through his own reading of the early history of the Christianity, he was to drift from the arid liturgy of the Church of England to the high church movement and eventually to Rome. He struck one as a lonely isolated figure in Oxford at the beginning of his career there. Despite a slow start in the university where he had disappointing first examinations, he eventually became a Fellow of Oriel College. He was much given to self-analysis and not very comfortable at first in the company of the Fellows of the College, although he became much more so in the company of his intimates as his career progressed. As a Fellow he became actively involved in the work of the College where he was greatly influenced by his contact with other distinguished and radical members. He soon became an increasingly important figure in the academic world of Oxford and in its religious institutions and he remained so until he was forced to resign his Fellowship because of his perceived leanings towards Rome which were evident in his many publications on the subject of religion and the origin of the Christian faith. He was also suspect because of his association with other radical thinkers. He was obviously a very sensitive and introspective person with rigid and inflexible views although he was capable of changing these from time to time. He was compassionate and considerate towards his family but could be quite irritable and, according to O’Faolain, he admitted to having a temper which he described as ‘with a devilish temper, and a passion so ungovernable as to unman him and a tongue that could clip a hedge’. In his later years he had obviously learned to control these overt and undesirable attributes. It is interesting that Newman first opposed Catholic Emancipation although his reasons were rather academic and were almost certainly based on the prevailing prejudices of Protestant England. It is quite clear from the author’s account that the Newman family proved to be dysfunctional. The rather abnormal and inharmonious relationship among the six children tended to worsen with the passage of time. This circumstance could be attributed to the narrow, bitter and arid upbringing which was a feature of the puritan ambience of mid-nineteenth century protestant England, and perhaps to a lesser extent to the failure of his father’s business ventures and the family’s impoverishment. Newman’s long drawn out and painful conversion to Rome is described in the penultimate chapter of the book but little information is provided about his life following his conversion nor is there much about his last few years before his conversion and after his departure from Oxford. His Dublin period is not mentioned. The origins and the evolution of the Oxford Movement, and the leading figures in the Movement, are, of course, dealt with in some detail. The book is essentially an account of the family and of John Newman’s background, and the tensions which existed within the Church of England during the mid-nineteenth century. The tensions were aggravated by the secular aspects of the established church, by its political associations, by its attenuated spirituality, and by the conflict created by its more radical members who had leanings towards a warmer and more passionate liturgy which inevitably was perceived as a leaning towards Rome. 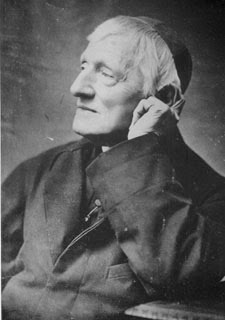 Newman’s conversion to Catholicism and his ordination in Rome took place after a few years of severe stress and isolation from the academic world which he had been so attached to in Oxford. Nevertheless, his conversion to Catholicism was inevitable as he gradually realised that only the Roman Church could legitimately claim to represent the apostolic succession, and that all breakaway and dissident churches, such as the Church of England, lacked that essential link with Christ. Newman’s youngest sister died at an early age. After his conversion he virtually lost all contact with his two brothers and another sister. Only one sister remained in any way close to him afterwards. 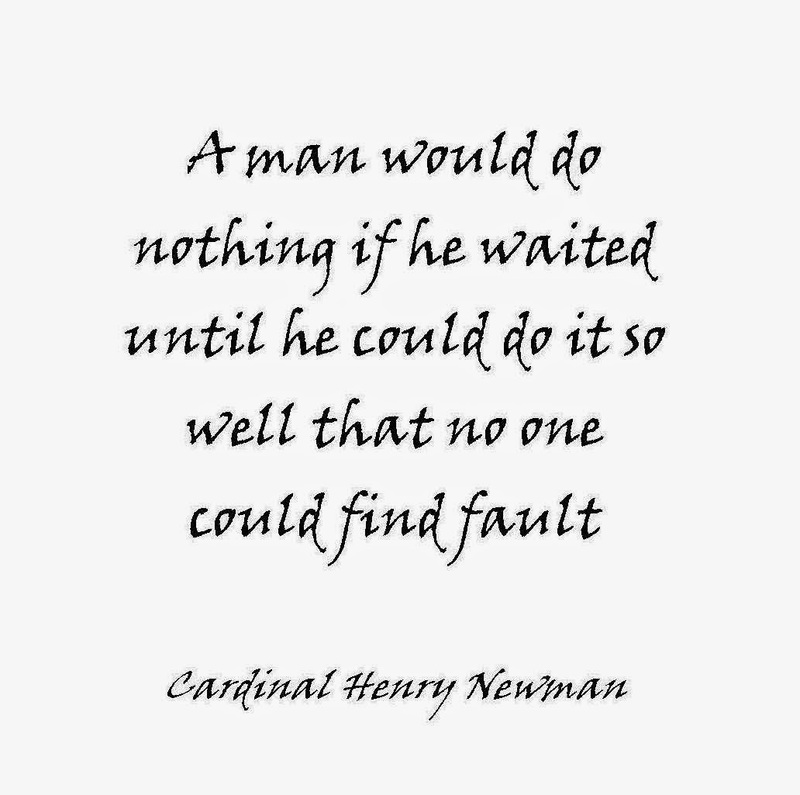 There is a poignant note at the end of the book describing how Newman, when he was very old and infirm and an isolated and lonely figure, decided to visit his youngest brother, Charles, whom he had not seen for many years. Charles, who had a lifetime history of instability and dependency, was living in reclusive poverty in a small port on the west coast of Wales where he had been vegetating for twenty five years. When, after a tedious journey, John arrived at his lodgings, Charles refused to see him. Charles died shortly after this visit. 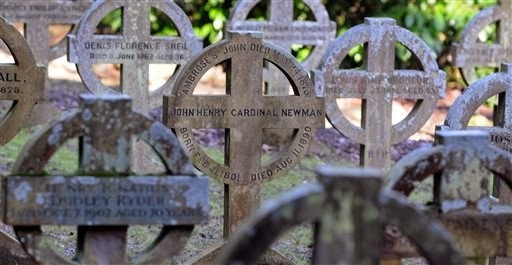 His funeral expenses were paid by the Cardinal. John’s brother Frank was an eccentric, particularly in the field of religion. Frank, who held an academic chair in Oxford, also lived to a good age and in later years during his retirement began to visit John more frequently in Birmingham but they apparently never discussed religion and confined their conversation to ‘neutral subjects’. Newman died on 11 August 1890, in his ninetieth year. He died a lonely man, the victim of his dysfunctional family circumstances and the mindless divisions and prejudices of religion. Some months before reading Seán O’Faolain’s biography, I had recorded the following note after a visit to University Church in St. Stephen’s Green. 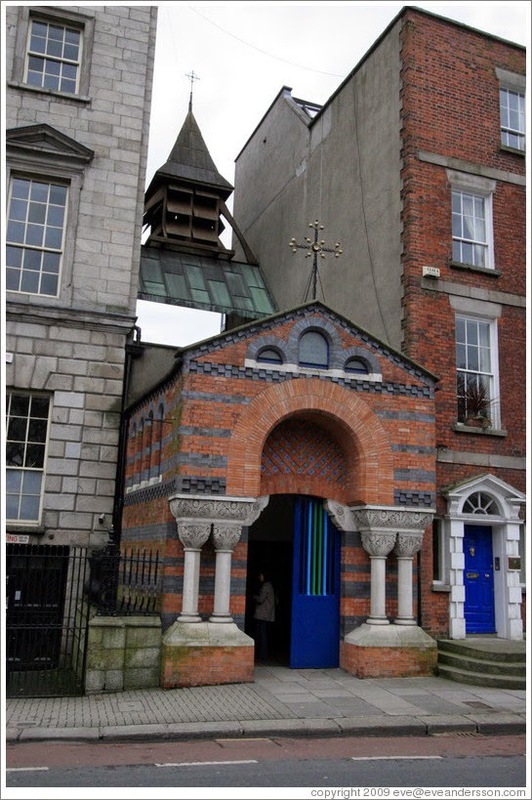 This very beautiful church in the Byzantine style was built by Newman when he was rector of the Catholic University of Ireland. He described it as the most beautiful church in the world. I dropped into University Church one day after an hour long tranquillising massage by Eileen Fitzsimons whose apartment is beside the church. I must have been in a contemplative mood after her ministrations. I found a booklet about Newman and his association with Dublin among the publications at the entrance. It lead to the following thoughts. Newman had done much to invigorate and awaken the Anglican Church before he became involved in the Oxford Movement and became a Catholic. He was ordained in Rome in 1847. 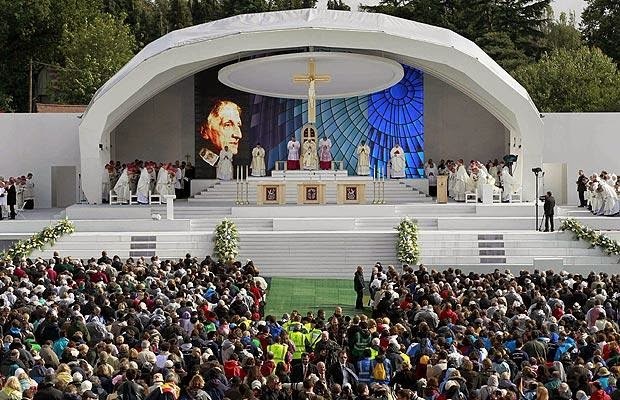 He subsequently was largely responsible for popularising the Catholic Church in the late nineteenth century. Until then, the Church was the object of the most bitter prejudice in predominantly Protestant England as a result of which the Catholic leadership had a closed and defensive mentality. As late as 1850, when the British Government first allowed Catholics to establish a Hierarchy, this prejudice was evident by violent protests, including the Gordon riots. Newman was also much concerned with the traditional hostility of the Catholic Church towards science and scientific enquiry. He accepted that the discoveries and opinions of Darwin were not inconsistent with biblical studies and that there was no conflict between the findings of science and the truth of revelation. He supported research and the freedom to do research. His outspoken and courageous reputation in defence of the Church and his ecumenical reputation were no doubt responsible for the change in attitude of Protestant England to the Catholic Church and the warm reception his cardinalate was to receive by his old alma mater and enemy, Oxford, and people of all denominations in these islands. His colleagues Cardinals Wiseman, Archbishop of Westminster, and Manning also played a part in restoring the confidence of Catholics and the prestige of the Church in Britain. Nowadays, one feels that the English have a vague nostalgia for the old religion and a quiet affection for the Catholic Church in their country; for Catholics’ law abiding reputation, their patience at times of adversity, their patriotism, and for the prestige of their modest aristocracy.